It's official: 45 will be retired. No one in the Red Sox has worn Pedro Martínez's number since he left the team in 2004, and moments ago it was made official: No one else is going to wear 45. 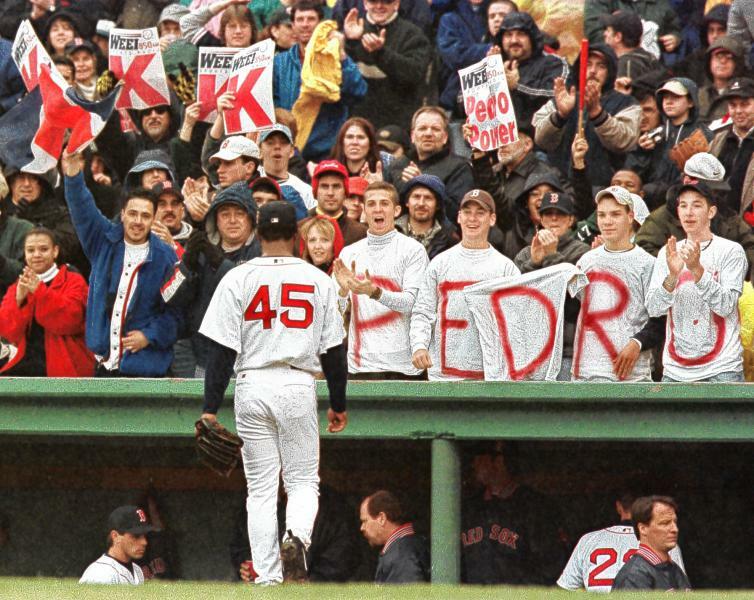 The Red Sox today announced plans to retire Pedro Martinez's number 45 as a tribute to his exceptional career in a Red Sox uniform and in honor of his upcoming induction into the National Baseball Hall of Fame. The ceremony will take place at Fenway Park before the Red Sox-White Sox game on Tuesday, July 28, just two days after the right-handed pitcher is enshrined in Cooperstown, NY. Fans attending the game will also receive a replica of Martinez's Cooperstown Hall of Fame plaque. 1. He made the All-Star team four times (1998-2000, 2002). 2. Was the All-Star game MVP (1999). 4. Won the pitching Triple Crown (1999). 5. MLB wins champion (1999). 8. Helped the Red Sox break a Curse and win a World Series for the first time in 86 years. Pedro will join an elite group of Red Sox retired numbers; a group where Bobby Doerr (#1), Joe Cronin (#4), Johnny Pesky (#6), Carl Yastrzemski (#8), Ted Williams (#9), Jim Rice (#14), Carlton Fisk (#27) and Jackie Robinson (#42) are the only members. Do you think the Red Sox will retire Wade Boggs' number? If Nomar gets into the Hall of Fame, should his number be retired too? Leave your comments below and don't forget to follow us on Twitter at @RedSoxLife and once you're there, follow me at @iamjorgecamargo.